We are an established and diversified Group of Companies listed on the Main Market of Bursa Malaysia Security Berhad. In line with our continuous quest for growth, we seek highly committed, motivated and dedicated individual with high level of integrity to join our team based in Kuala Lumpur. Qualified candidates will be offered 5-days workweek with Excelent career Advancement opportunities and attractive remuneration package such as medical benefit, hopitalazition and PA insurance Scheme. 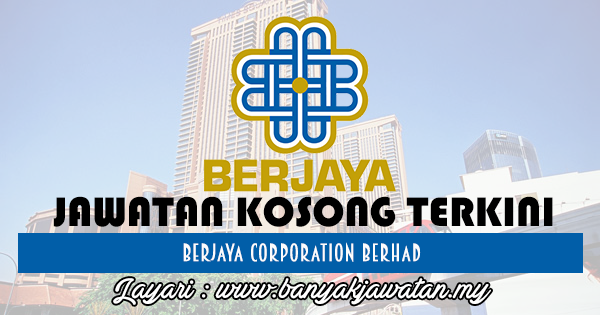 0 Response to "Jawatan Kosong di Berjaya Corporation Berhad - 26 Oktober 2017"